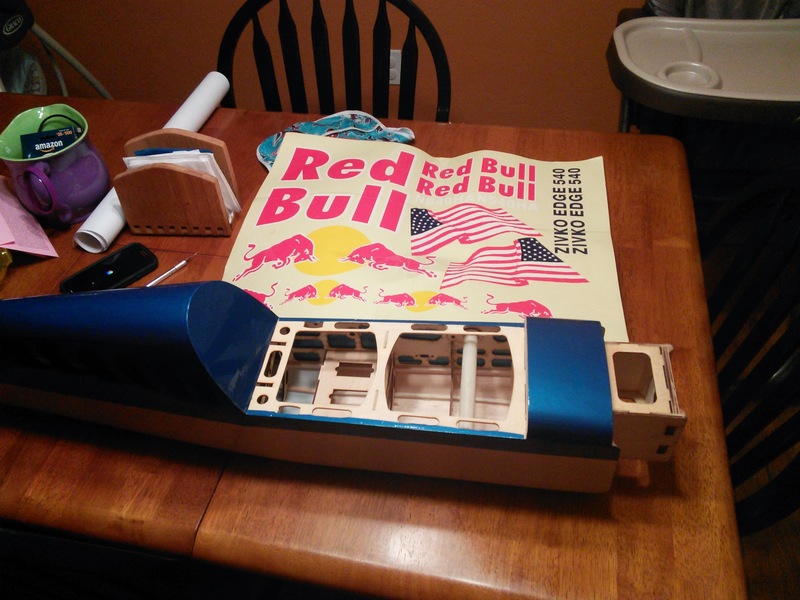 Over the next few posts I’ll be detailing the build of my Red Bull Zivko Edge 540T RC model airplane. If you’ve ever watched or stumbled into a video about the Red Bull Air Races you’ve seen some of the best flying on the planet. Two great pilots Kirby Chambliss and Péter Besenyei both fly Zivko Edge 540’s in Red Bull livery. The Zivko Edge 540 is my favorite acrobatic aircraft and the Red Bull scheme just makes them look great. If you get a chance, head over to YouTube and check out the videos. I swear you’ll get sucked in! Ever since I saw the Red Bull Zivko Edge 540’s I knew I wanted a scaled model. It took some searching but I finally found one from GeneralHobby.com. I’ll warn you now, you get what you pay for. 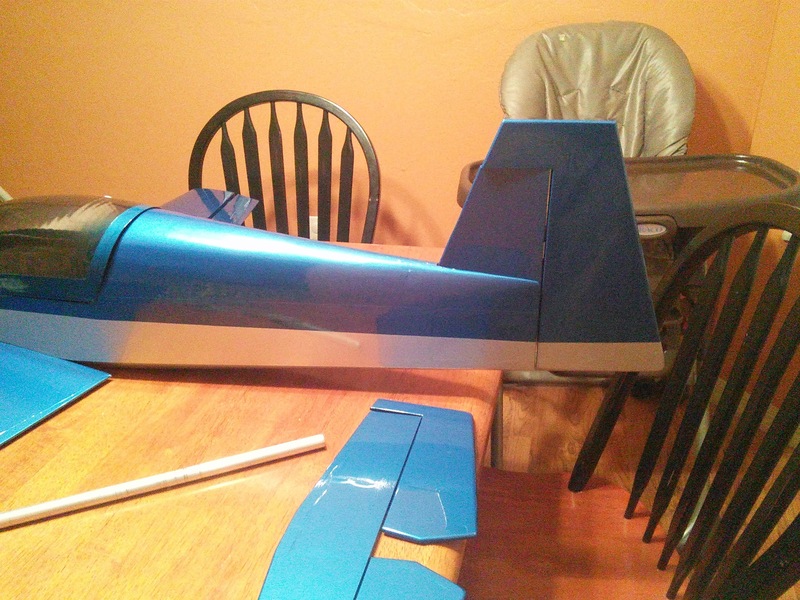 The manufacturer didn’t send the cowling with my plane. 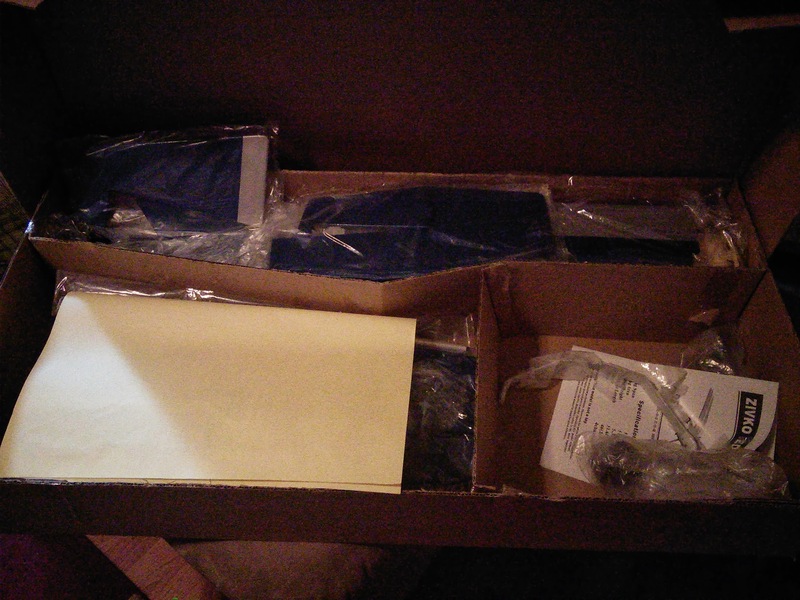 The instructions are not for the same version that is shipped. If you’ve put together a plane before and have some basic building skills you should be fine. Prepare yourself to be frustrated at several points along the way. I got the plane from GeneralHobby.com very quickly. I was surprised that it got to my house from California in less than 7 days. 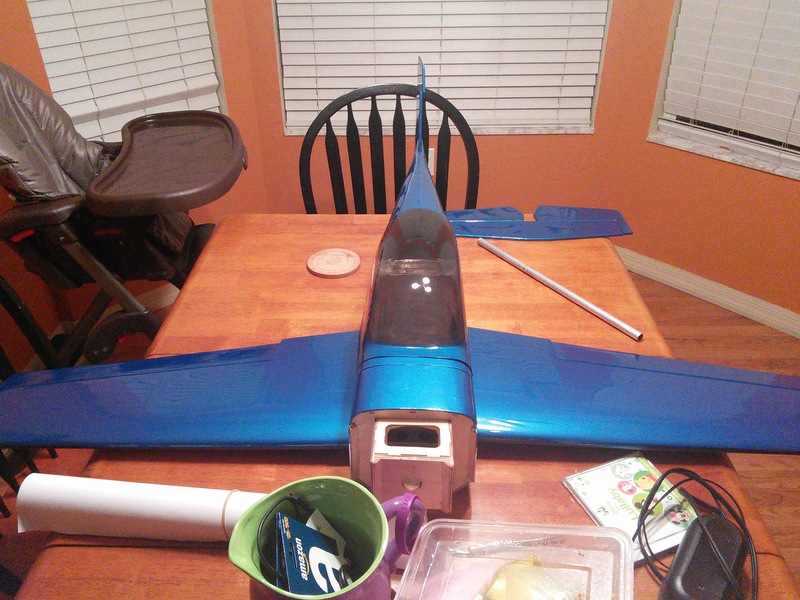 I was so excited to get the plane that as I was laying out the pieces on the kitchen table I didn’t even notice that the cowling wasn’t in the box. After I took the above pictures I started putting everything back in its plastic and back into the box. It was then that I noticed that there was no cowling! When ordering this plane I had that feeling in my gut that something could be wrong. There was no known manufacture tied to the plane, ie I couldn’t find a manufacture website to look at. 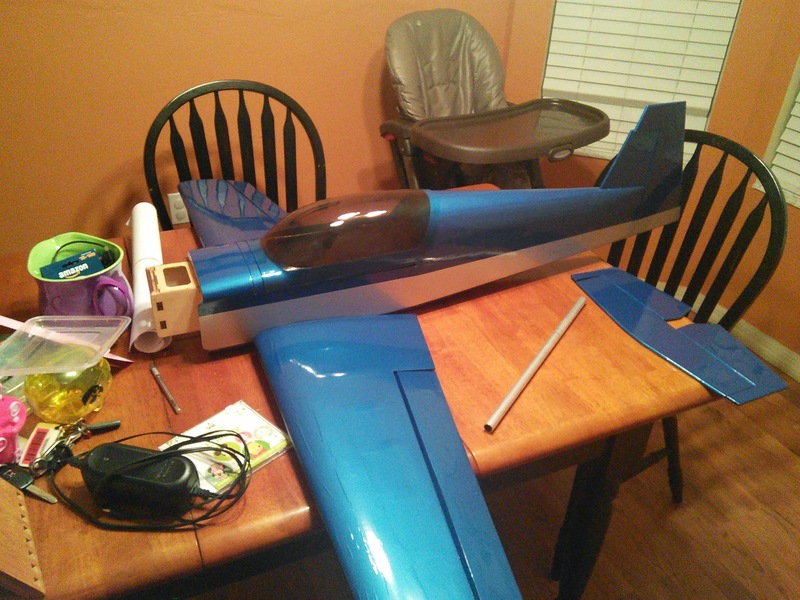 I really wanted the plane and everyone at my club which has dealt with GeneralHobby.com has nothing but good stuff to say about them. My wife even has ordered a present for me from them and had no issues. Anyhow, the next day I called and emailed GeneralHobby.com. The proprietor, Richard, assured me that the cowling would come ASAP. Seeing that a long weekend was coming up I knew that the cowling probably wouldn’t be showing up within the next week. Well, about a month later and after hounding GeneralHobby.com’s only phone number I finally got the cowling. In retrospect Richard probably had to contact the manufacturer to get the cowling. I doubt he pulled one from another model. My only gripe with the transaction was with the transparency that could have been provided. After initially reporting that I was missing the cowling I was only able to get into contact with GeneralHobby.com once. Why couldn’t they have said something along the lines of, “hey, we don’t have one here to give you. We’ve contacted the manufacturer, they are sending it to us, well see it in approximately 3 weeks, and you’ll have it approximately a week later.” That would have let me know what was going on and that I wasn’t blown off. For some time I felt that they had my money and no longer cared about my business. Will I do business with GeneralHobby.com again? Yes. After talking about my experience to my club members and others it seems like I may be an outlier. I’ve done reading about people’s perceptions online about GeneralHobby.com’s reputation. It seems to me that they receive a similar number of complaints as any other importer of overseas ARFs. I hope that they see these few paragraphs and can make some changes. They sell some really nice aircraft and there are too many that I want to purchase. Check back as I write up the rest about the build. I decided to split this build over several posts to make it easier to read. 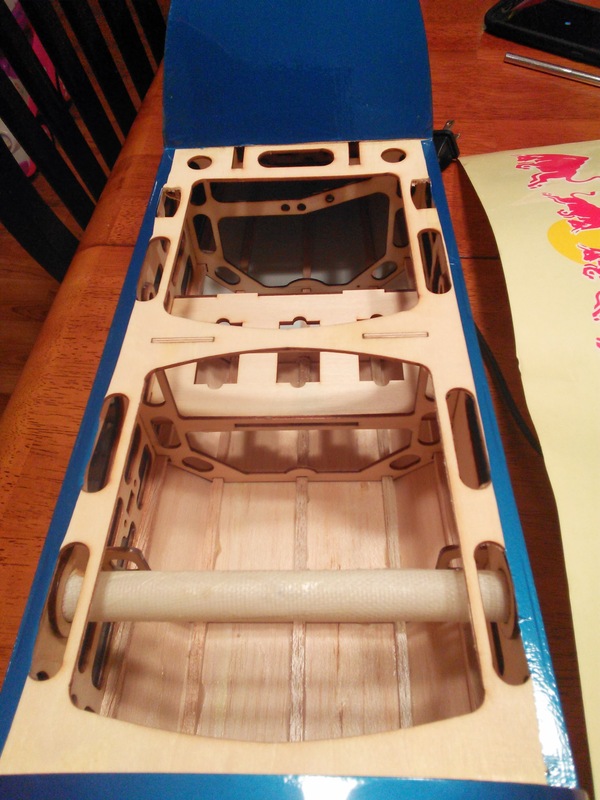 Tagged Build Thread, RC, RC Aircraft, Red Bull 540, Red Bull Air Race World Championships. Bookmark the permalink.